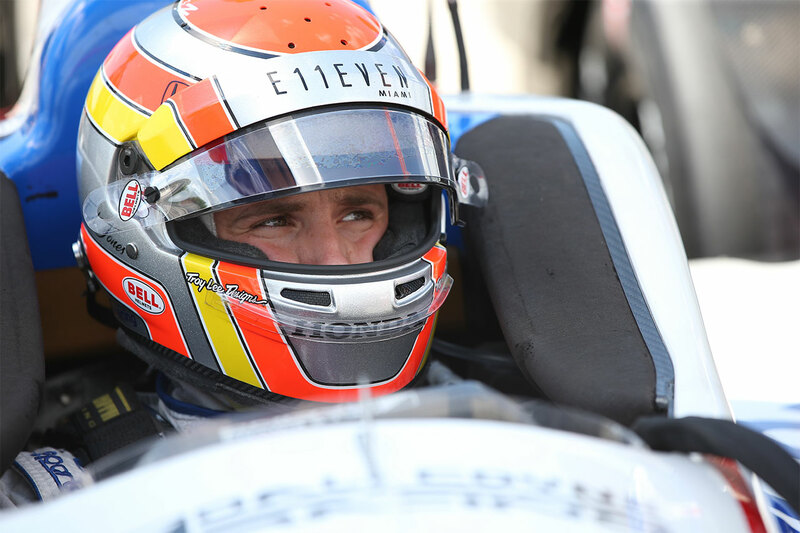 Ed Jones found his efforts to score a third consecutive top ten result in his maiden Verizon IndyCar Series campaign undone by ill-fortune in Sunday’s Grand Prix of Alabama, but the reigning Indy Lights Champion remains upbeat – and a firm top ten contender – ahead of the next outing on the schedule this coming weekend. 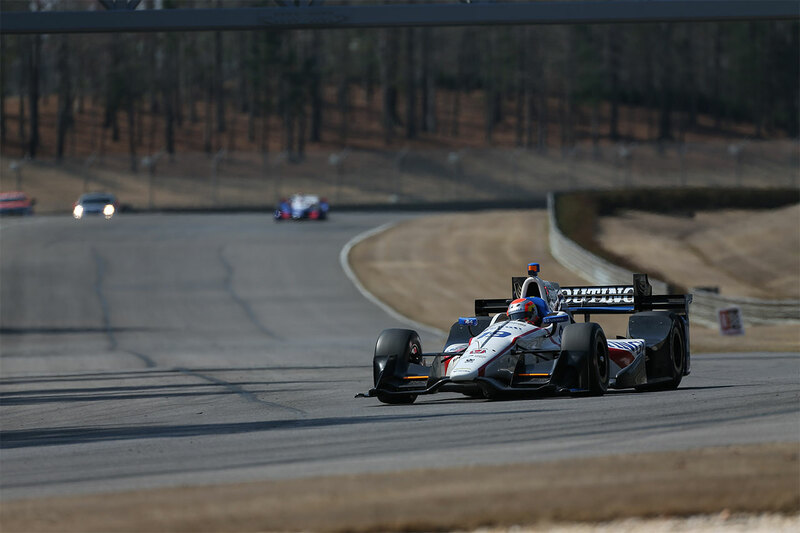 Having shown well in pre-event testing around Barber Motorsports Park’s picturesque 17-turn road course – lapping less than two hundredths-of-a-second adrift of ultra-experienced, championship-leading Dale Coyne Racing team-mate Sébastien Bourdais – Jones headed to the demanding Deep South circuit in optimistic mood. 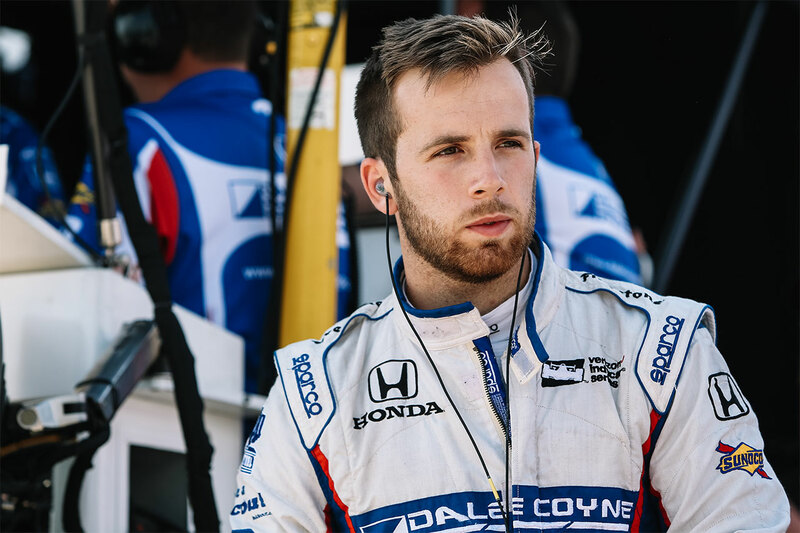 The talented Dubai, UAE-based ace had clinched a brace of pole positions and victory in Alabama en route to the coveted Indy Lights crown in 2016, and – buoyed by having become the first IndyCar rookie to tally two back-to-back top ten finishes straight off the bat since Nigel Mansell in 1993 – he returned with his sights solidly set on completing the hat-trick. 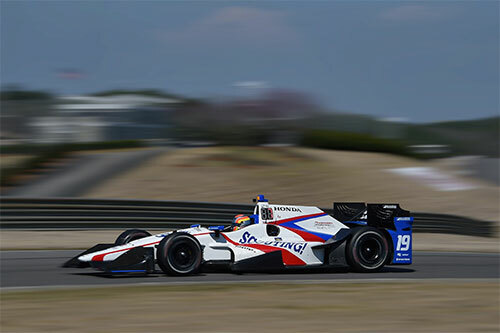 Despite struggling for balance during free practice, Jones dug deep to progress through to the ‘Fast 12’ for the first time in qualifying, narrowly pipping Barber lap record-holder Bourdais to 11th spot on the starting grid amongst the 21 high-calibre contenders. 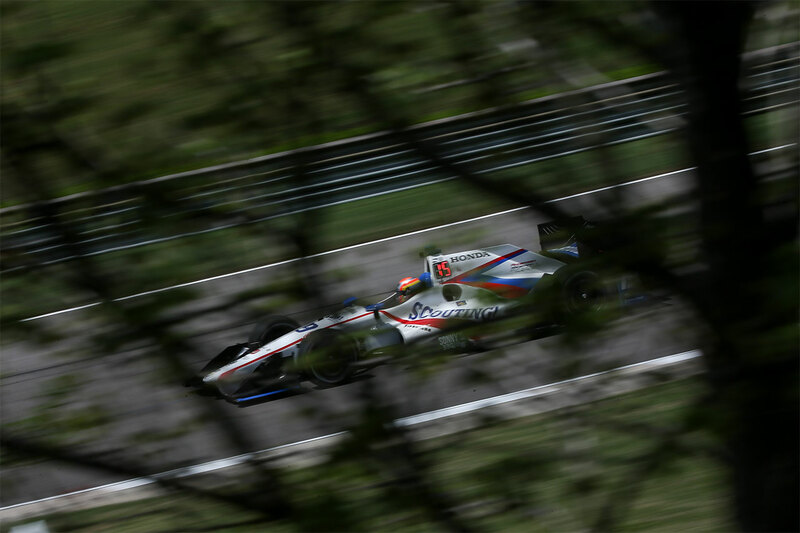 The 22-year-old Brit’s race, however, was immediately compromised when a piece of flying debris from a rival’s car struck the front wing of his 720bhp Dallara-Honda single-seater, sending him unexpectedly pit-bound for a replacement at the end of the opening lap. The delay dropped him to the tail of the order – and consigned him to a very long afternoon indeed. 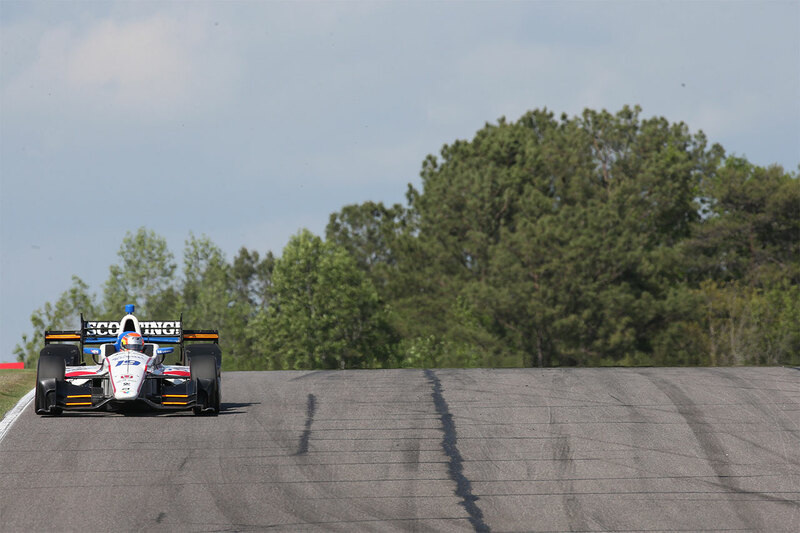 Around a circuit at which overtaking is famously difficult, that represented a significant mountain to climb and with overnight rain making for distinctly different track conditions to-boot, Jones was unable to replicate his impressive qualifying form. 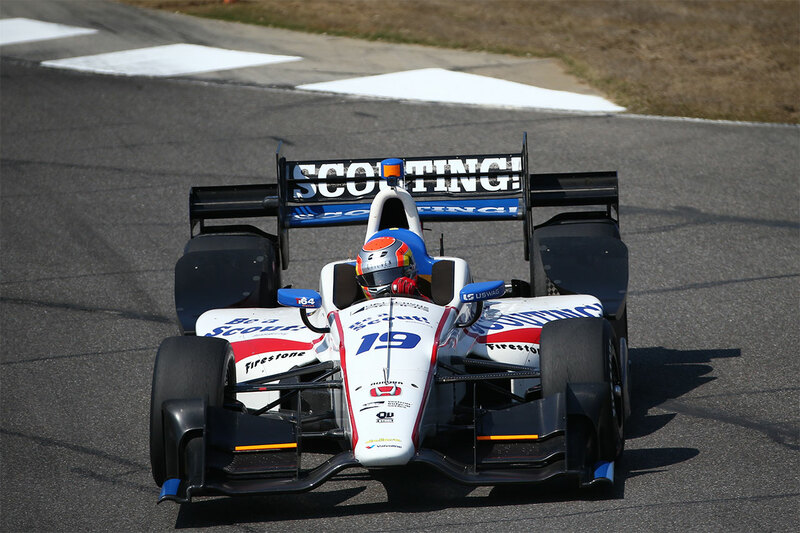 The former European F3 Open Champion valiantly plugged away to regain 16th position by the chequered flag, and whilst that was far from the result he had been aiming for, it nonetheless preserved his top ten championship standing at the pinnacle of US open-wheel competition. With no time to waste, the 2017 IndyCar season now speeds swiftly on to the 1.022-mile Phoenix Raceway on 29 April. As he prepares to make his first oval appearance in the fiercely-disputed series, Jones is eager to rapidly re-establish his burgeoning momentum. “We had more knowledge going into Barber than at the first two races following the test, but still we expected it to be tough,” reflected the Williams-Harfield Sports Group protégé. “It’s one of the hardest circuits on the calendar both physically and technically; there are plenty of long corners that call for maximum commitment – you really need to have the car underneath you round there. 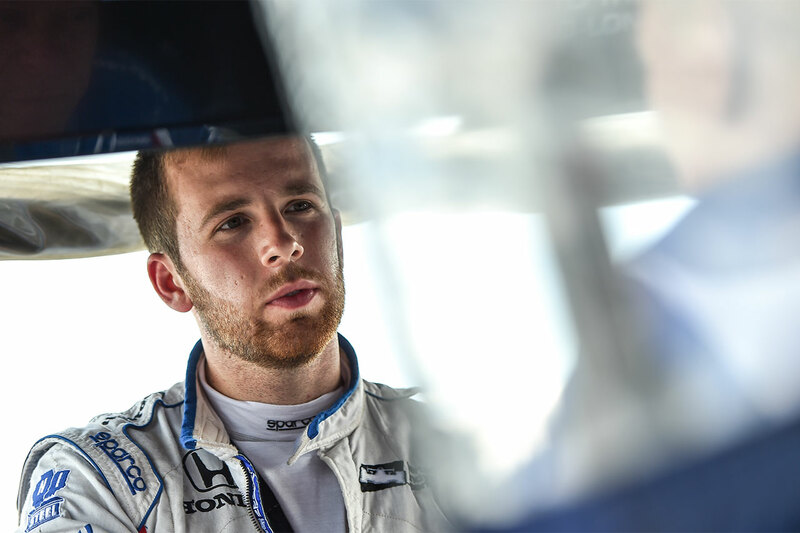 “That said, I had done well at Barber in the past, and my Indy Lights experience gave me the confidence to push consistently towards the limit. It was a difficult first day after a few changes that we made for the afternoon session failed to pay off, but the team and myself came together and worked hard overnight to try to improve the situation, and Saturday went much better. “We made a little bit more of a jump for qualifying and I had a really good car throughout the session; getting through to the ‘Fast 12’ was our target, and it was very satisfying to accomplish it. Unfortunately, it was then a frustrating start to the race. I caught some debris that wasn’t really avoidable, which put us to the back of the field. After that, I didn't quite have the pace so I think we would have struggled even if we were up there from the beginning.